Oscilloscope Laboratories announced this past week that video essayist-turned-writer/director Kogonada will see his award-winning film, Columbus, available as both DVD and Blu-ray product offerings on Mar. 26. The ARR comes in at a long-in-the-tooth 599 days and domestic ticket sales generated from the film’s arthouse run were right at $1 million, which is an impressive number for a film festival entry. 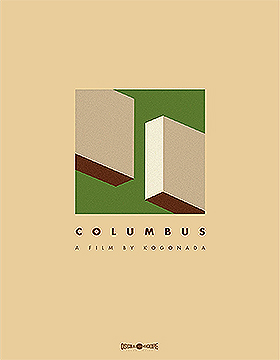 Columbus debuted at Sundance in 1997, traveled the world throughout 1997 and into early 1998. In the middle of that road trip there was a limited arthouse theatrical run that began in early August of 1997 and, largely through word-of-mouth, was extended again and again until early November of that year. Oscilloscope, savvy to such events, worked on acquiring home entertainment distribution rights … and succeeded. OK, we are going to give away a trade secret right up front here. If you see the name “Parker Posey” in an independent film it is a sign the film in question is one worth seeing. Any indie filmmaker that is lucky enough to have her sign on — even if the role is minor (a couple of days on the set and gone) — means that they’ve found the lucky penny; their film is blessed by a muse … and film-goers in the know look for these little films with Parker Posey. The same holds true for genre films … fans of those are drawn like moths to a flickering flame if they see Debbie Rochon’s name in the credits. Hmmmm, what masterpiece of filmmaking might be in the offing if Debbie Rochon and Parker Posey closed that six-degrees of separation and appeared in film together? 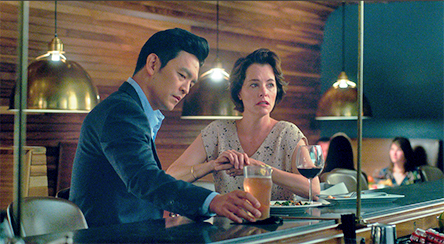 But we digress, all you need to know is that Parker Posey has a small role in Columbus, which says quite a bit since this is Kogonada’s debut as a director. The film itself features Columbus as one of the framing components to the narrative — no not that famed university city with the Best Damn Band in the Land and the home of Brutus the Buckeye, but the Columbus next door in Indiana. For those not in the know, Columbus, Indiana is the home to no less than seven National Historic Landmarks, including five designed by Eliel Saarinen, and 13 additional Modern marvels — basically the architectural go-to place in the country. There are buildinga here designed by the likes of Gunnar Birkerts, I. M. Pei, Charles Franklin Sparrell, Robert Venturi and Harry Weese. 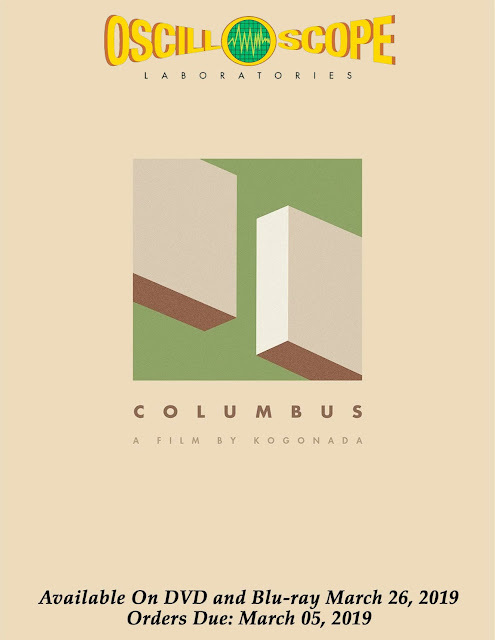 As we mentioned, Kogonada makes good use of Columbus, Indiana and its rich heritage of architect as a framing device for the two main characters to interact with. The first of these is Jin (who is immediately recognizable as the new “Sulu” in the current Star Trek round of films, plus “Harold” of Harold & Kumar Go to White Castle … among others in the comedy series), who is stuck in Columbus as a result of his famous father being hospitalized (now in a coma) — he was there to lecture on, architect. 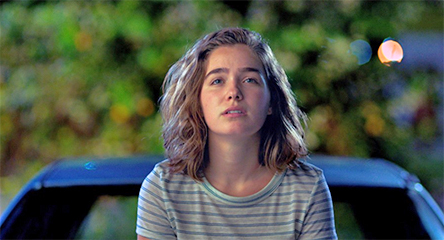 The second is a life-long resident by the name of Casey (Haley Lu Richardson — Split, Operation Finale, The Edge of Seventeen, The Last Survivors, etc. ), who had a rough up-bringing (mother was into drugs) and has made the most of it. She has a bright future and knows every nook and cranny of Columbus … and all of the history; a regular little docent for the history of the architect of the city. This mismatch pair — sort of like a September/April couple — meet and find an unlikely kinship. He wants to get out of Columbus and she spends a considerable about of energy convincing him of its charm and beauty, while she really needs to get out and experience the world; go to college and let her mother go … so he works on showing her a future beyond the confines of Columbus. 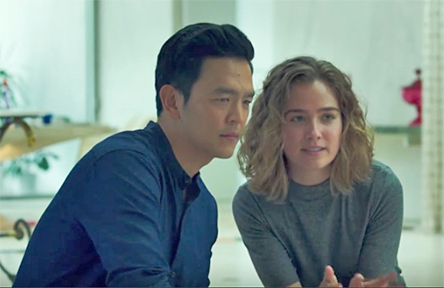 Columbus emerges as a sweet character study where the audience is quickly invested in the happiness, if not the love, that both Jin and Casey might find. A sweet film … and remember, it has Parker Posey in it!!! 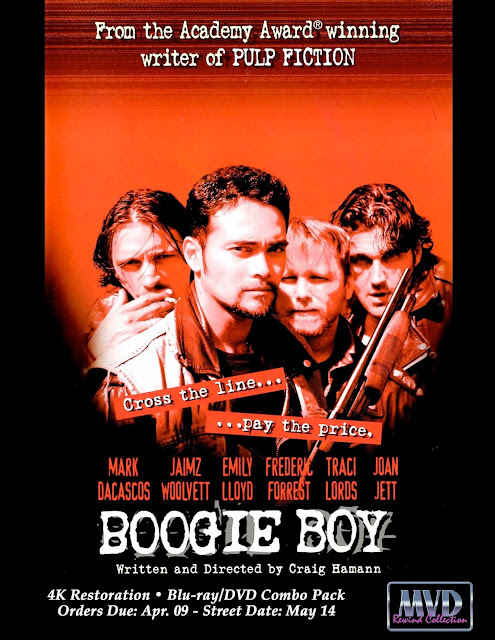 MVD Entertainment Group announced this past week that Rewind Collection status has been bestowed on writer/director ­ Craig Hamann’s 1998 thriller, Boogie Boy — starring Double Dragon’s Mark Dacascos. A 4K restoration from the original camera negative (supervised by filmmaker Craig Hamann) will be available a Special Edition Blu-ray/DVD Combo Pack on May 14. 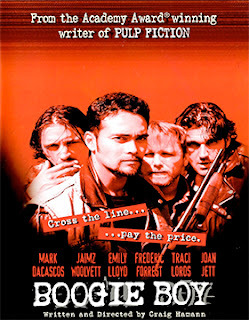 Jesse Page (Dacascos) is a loser, he’d like to be a rocker (drummer), but somewhere along the way crime and stupid things piled up and landed him a jolt (or two) in prison. He’s fresh out of the joint, but doesn’t seem to have much in the way of plans … future-looking sort of thing. In any case, a former buddy from prison named Larry (Jaimz Woolvett — Unforgiven, Dead Presidents, Rites of Passage, etc. ), drops by with a tasty bit of bait — a cycle — which works like a charm as Jesse, who says he wants to remain on the right side of the law, is quickly sucked in to a drug deal that, naturally, goes south. On the run, the pair end up in a sleazy motel named, appropriately enough, The Lost Oasis. The joint is run by a good natured fellow by the name of Edsel Dundee (played by none other than Frederic Forrest), who has a dim-bulb of a wife, Hester (another surprise, Emily Lloyd — A River Runs Through It, Wish You Were Here), who will eventually create enough sexual tension to get our boy Jesse into more trouble. What makes Boogie Boy a real keeper — and certainly a prime Rewind Collection candidate — is the incredible cast that was assembled. In addition to to Emily Lloyd and Frederic Forrest, the film features the likes of Traci Lords, scream queen Linnea Quigley and Joan Jett, playing a seedy rocker who takes a liking to Jesse and offers him a gig … if he can just get out of the mess that Larry has gotten him into. A clever twist-ending, that was later used in one of the Breaking Bad episodes, also adds to the film’s cult-like status ... and on Blu-ray for first time!! Put May 14 for this primo 4K presentation of Boogie Boy. Bonus features, which are still being worked on, include extensive video sessions with the cast and crew and a newly-prepared making-of featurette. 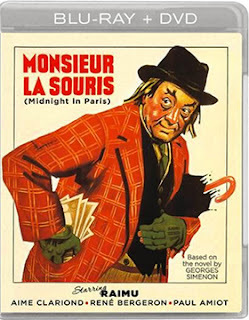 Cinetrove International announced this past week that French filmmaker Georges Lacombe’s 1942 “detective” mystery, Monsieur La Souris — produced and released in occupied France during World War II — will be available as a Blu-ray/DVD Combo Pack product offering on Mar. 26. Adapted from the novel by prolific Belgian-born writer, Georges Simenon (who would gain fame for his series of Jules Maigret detective novels … some 75 in all) and starring Raimu (aka: Jules Auguste Muraire), a popular stage and screen actor of the 1930s and ‘40s (he died of heart failure from a minor operation in 1946), Monsieur La Souris is an odd little film in which filmmaker Georges Lacombe may have gotten away with a little bit of anti-Nazi propaganda. 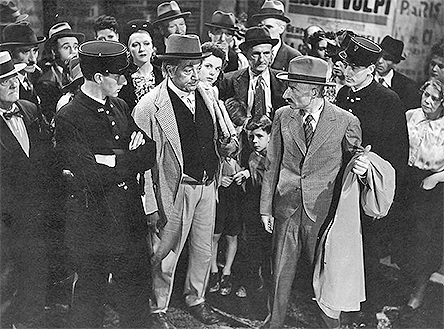 Remember, the film opened theatrically in France in October of 1942, almost two full years before the Liberation of Paris in August of 1944, so filmmakers, writers, actors, etc., all had to tread lightly or end up on a train bound for a concentration camp. Ironically, novelist Georges Simenon was both suspected of being a collaborator (nothing came of it, although he left France as soon as the war ended) and was investigated by the Gestapo at the same time. In any case, Raimu plays a street vagrant known as “La Souris” (The Mouse), who makes a few francs by doing odd jobs at a cabaret in Paris. During one evening he stubbles onto a dead body behind the wheel of car, but before the police can be summoned, the automobile suddenly drives away … leaving behind an important clue, a wallet chockfull of money (plus other tidbits of information). The police officials arrive — Commissioner Lucas (Paul Amiot — Madame Sans-Gêne, Orpheus, Queen's Necklace, etc.) and Inspector Lognon (René Bergeron — The Count of Monte Cristo, Remorques) — but The Mouse, detests these “authority” figures (remember, occupation of France, etc.) and launches his own investigation (common hero) of the murder. Naturally, his sleuthing draws the attention of the inept Lucas and Lognon, who suspect that The Mouse might be in on it!! 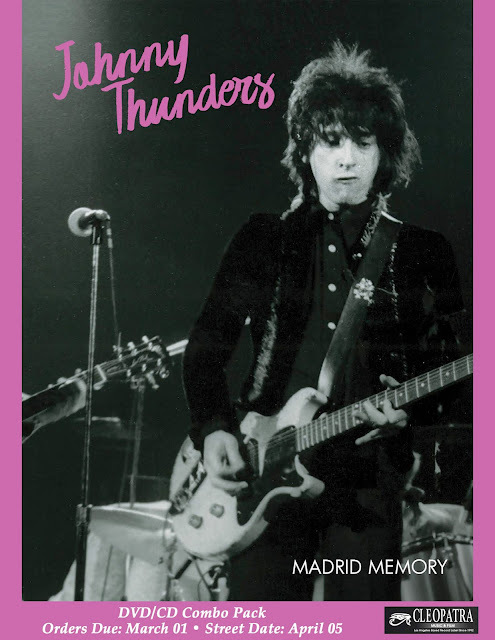 The New York Dolls lost their lead vocalist, Johnny Thunders, and their drummer, Jerry Nolan in the spring of 1975. The pair briefly teamed up with Richard Hell, but creative differences saw that mix fall apart with Billy Rath replacing him and the core of Johnny Thunders and the Heartbreakers was set. 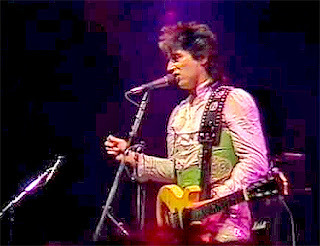 It didn’t last … by 1991 Johnny Thunders was gone (drug overdose) and the following year, 1992, Jerry Nolan stroked out. But during their moment in the limelight that generated a following that lasts until this day. Cleopatra Music and Film, with sales and distribution expertise provided by MVD Entertainment Group, has tabbed Friday, Apr. 5, for the special DVD/CD Combo Pack release of Johnny Thunders: Madrid Memory. A newly-minted vinyl edition is also being released the same day. 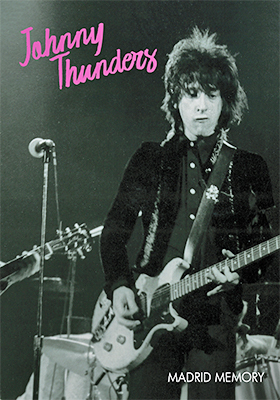 During their 1984 “reunion” world tour — it was about this time that Thunders had acquired the original L.A.M.F. album tapes and remixed them (aka: L.A.M.F. : Revisited) with excellent results — the band popped-in at the Madrid studios of La Edad de Oro (aka: “The Golden Age”) for a live set, which was recorded for posterity. Appearing in this live concert are Johnny Thunders, Jerry Nolan, Billy Rath and Sylvain Sylvain (another alumni of The New York Dolls.